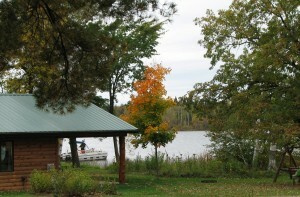 Minnesota fall color tours are in full swing in our area! The Minnesota fall color season is upon us and while it isn’t as spectacular as some other years it’s pretty darn beautiful! We were very dry coming into the fall so lots of the trees have dropped their leaves already. 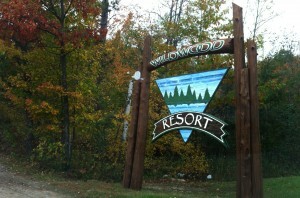 However, there is still plenty of beautiful fall scenery to take in. The DNR estimates that we are at 50-75% in our area while northern Itasca County is at 75-100%. A drive up the Highway 38 Scenic Byway or Scenic 7 will take you through some breathtaking fall color tours! Cabin 4 looks strange without a deck! 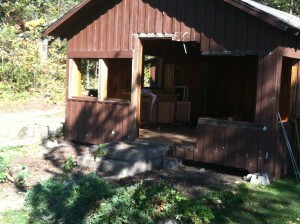 The good news is that the deck was removed and lives on at the resort of some good friends. Recycle and reuse! Our project is progressing well but we really are going to need a late freeze this year. This coming week the cabins will be demo’d and the site prepared for our concrete contractor to come and set his forms. If all goes as we hope we will be ready to pour concrete for Aspen and Oak Lodges by the end of the month. Jay started removing the floor from Cabin 1 this week preparing for the structural work that needs to be done. 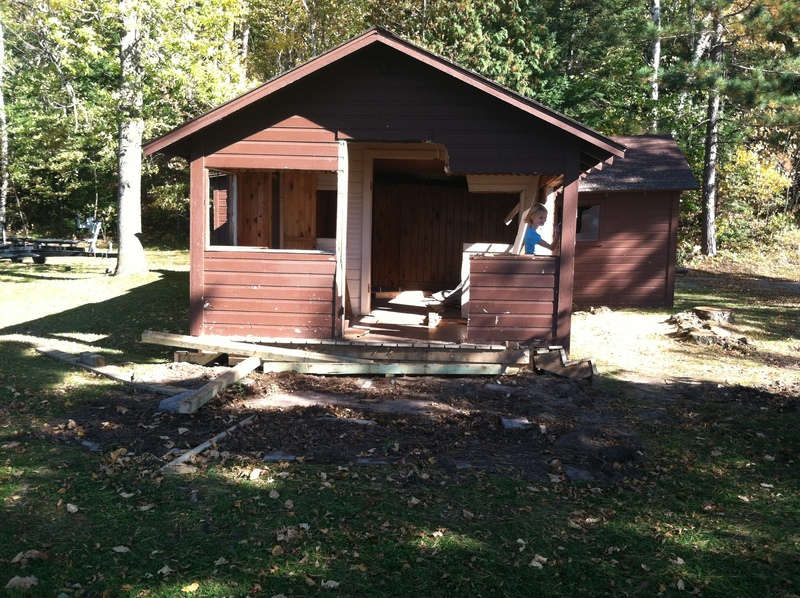 The transformation of Cabin 1 into Cedar Lodge is also going well. 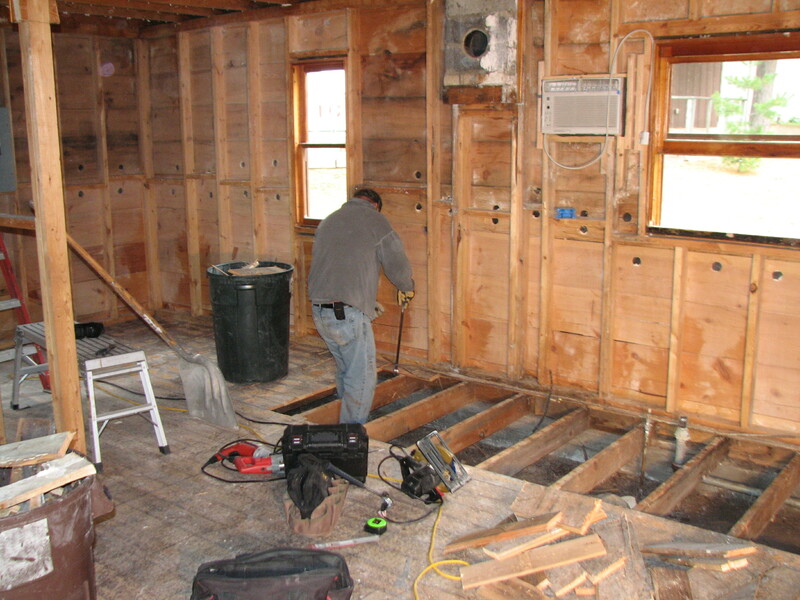 We have gutted the inside of the cabin and will pull up the flooring this week. In the next few weeks Jay will be working on finishing demolition, leveling the building and working on the roof structure. It already looks like a completely different cabin! This young maple in front of Basswood Lodge looks like it was dipped in ink. Love the fall color variations in its leaves! 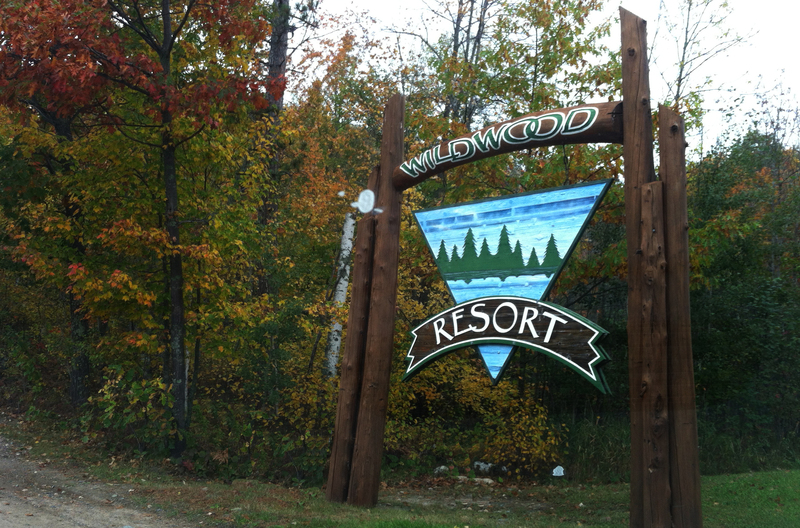 Just a quick update this week…thanks for taking the time to catch up on the happenings at Wildwood Resort! Decking material is green-treated so it cannot go to the dump with the rest of the cabin “demo” material. The decks from Cabin 3 and Cabin 4 were moved to our friends’ resort and will live on to enhance the MN vacation experience of more visitors for years to come! Until it was taken down last week I didn’t realize how big the oak tree was that stood next to Cabin 3. 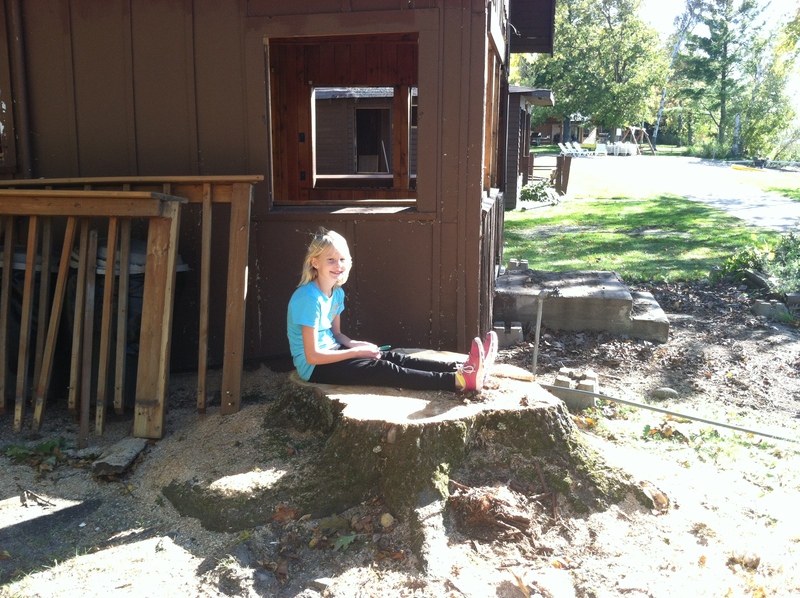 Its stump measures more than 4 feet across!